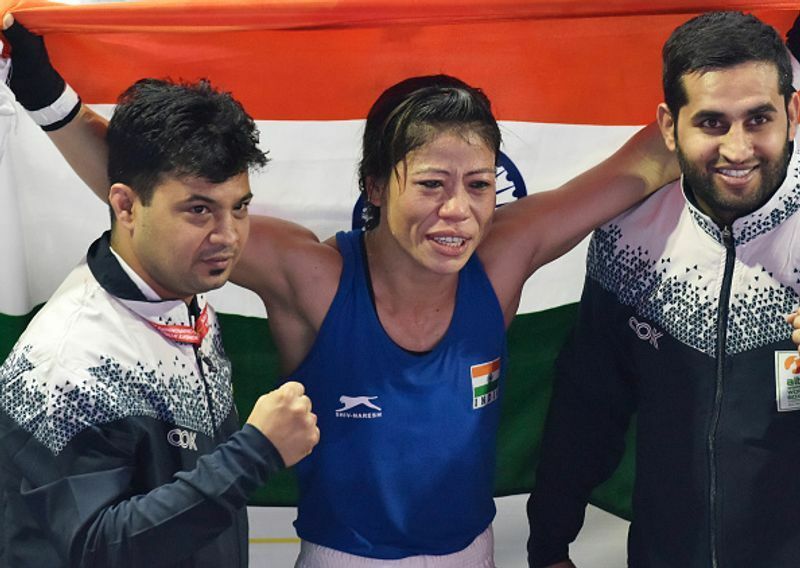 Indian boxer Mary Kom snatched a historic sixth gold after clinching an unprecedented victory against Ukraine's Hanna Okhota in the final of the 48kg event at the Women's World Boxing Championships on Saturday. With already five titles under her belt, the sixth one was Mary's second in front of the home crowd after the win in New Delhi in 2006. In the history of World Championships with as many as six gold medals, Mary has put herself on the level of Cuban legend Felix Savon as the joint most successful boxer (men and women). The fact that Savon is regarded as one of the greatest of all time for his achievements in boxing, proves this phenomenal woman and a mother of three children who redefined the meaning of struggles and passion, has no doubt been India's best. She is one of the most inspirational people in the world. Mary was born in Kangthei village, Manipur, to a couple who were tenant farmers and worked in Jhum fields. Despite the struggles and poverty, Mary grew up in sober and humble surroundings and helped her parents with farm-related work with schooling. She participated in her first World Championship in Scranton when she was 18, and made her way to the final to receive silver. At the Antalya World Championship in 2002, she won gold, and with this, her golden run continued as she went on to win gold medals at Podolsk, Russia, in 2005 and New Delhi in 2006. 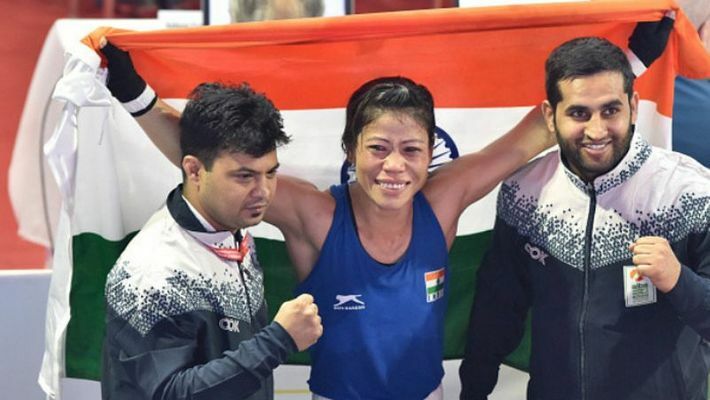 She also won a silver medal at the 2008 Asian Women's Boxing Championship in India after having her first two children, and a fourth successive gold medal at the AIBA Women's World Boxing Championship in China, followed by a gold medal at the 2009 Asian Indoor Games in Vietnam. 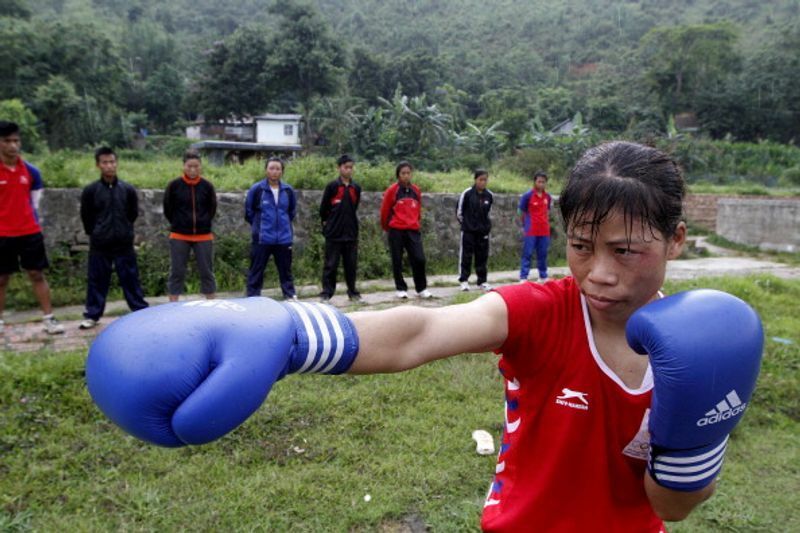 Mary is the only Indian woman boxer to have qualified for the 2012 Summer Olympics, winning the bronze medal in the flyweight (51 kg) category. She is the first Indian woman boxer to get a gold medal at the Asian Games in 2014 in Incheon, South Korea, and is the first Indian woman boxer to win gold at the 2018 Commonwealth Games. Also known as ‘Magnificent Mary’, she stands as one of the finest and remarkable women in the world for her rigorous hard work. She is, truly, an inspiration to many.